after months (years?!) of planning, my birthday ladies trip to mexico is finally here! 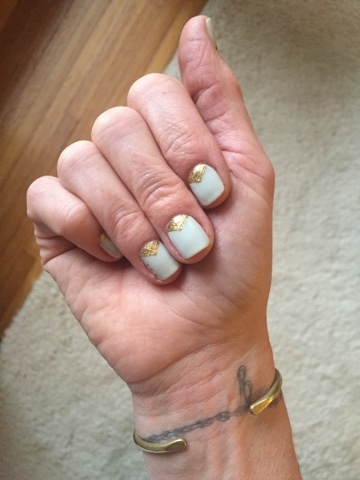 i got the fanciest mani of my life to kick off the party- I just can't get blue skies and golden sun off my mind! cabo 40 here we come! 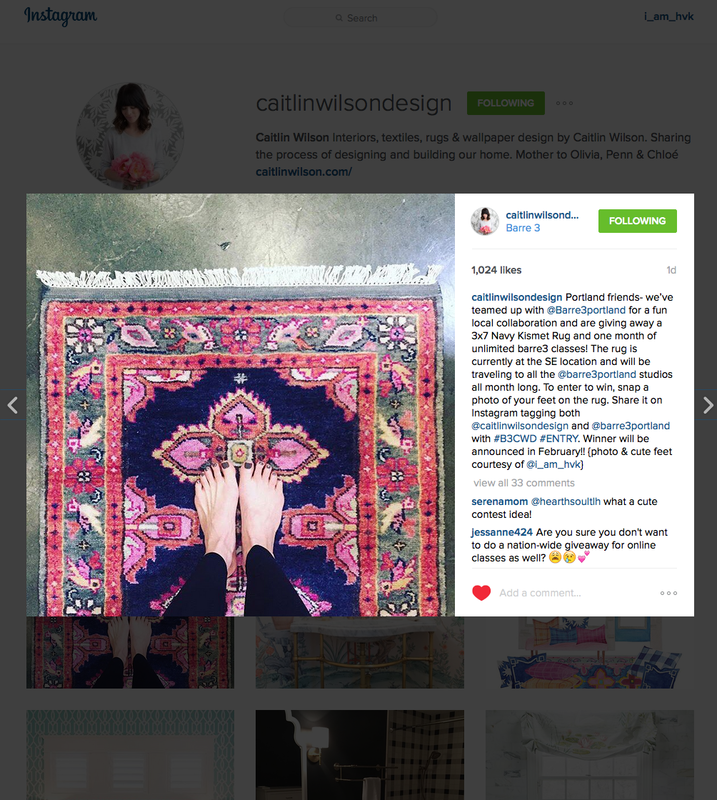 my feet are one of my least favorite features, so it's pretty funny that caitlin wilson design picked them to promote their latest giveaway! body issues aside, this contest is pretty sweet- the winner gets a month of unlimited barre3 classes, and this gorgeous kismet rug! if you haven'd heard of caitlin wilson, you should check her stuff out- she is pretty much the gorgeous portland lady version of jonathan adler. fun, colorful, luxe design, and barre3 are two of my very favorite things! go find this rug at a portland barre3 studio, step on it and snap a pic!